When you own a Viceroy residence, you join a group of other very discerning residential owners in what we like to refer to as the Owners Club. Here, you are provided the highest levels of personalized service available in Snowmass with access to all the inspired amenities of the Viceroy. Be ready to expand your expectations. Pool events - outdoor cocktail receptions, après ski etc. As a proud member of a uniquely inspired and progressive hospitality brand, the Viceroy Snowmass Hotel and Residences have been especially created for both family fun and rental appeal. The Rental Program is intended to maximize rental revenue for owners by renting the residences as often as possible at the highest possible rate. Supporting this goal is Viceroy’s position as the premier hotel & resort in Snowmass, its ski-in, ski-out access to the expanse of Snowmass Ski Resort, its dedicated team of sales, marketing and revenue professionals working exclusively on owner rentals, plus its extensive reservation system and worldwide brand appeal. The Rental Program is available to all residential owners, providing them the opportunity to include their residence in the hotel’s room inventory when they are not staying at the property. There are a variety of rental programs available that can achieve an owner’s desired balance of owner use and rental. Owners have the option to take advantage of a rental program or always leave it available for their personal use. In order to make your ownership experience as carefree as possible, we offer a custom suite of property management services to ensure your residence is maintained to the highest standards year-round and that you can always fully enjoy the captivating Viceroy experience during your stay. Complete information on the Viceroy Rental and Property Management Services Programs, including residential rental histories and management fees, can be obtained by contacting your Residential Services Team Lindsay Pulaski or Taylor Burstyn at resident.services@Viceroysnowmass.com and 970-923-8033. 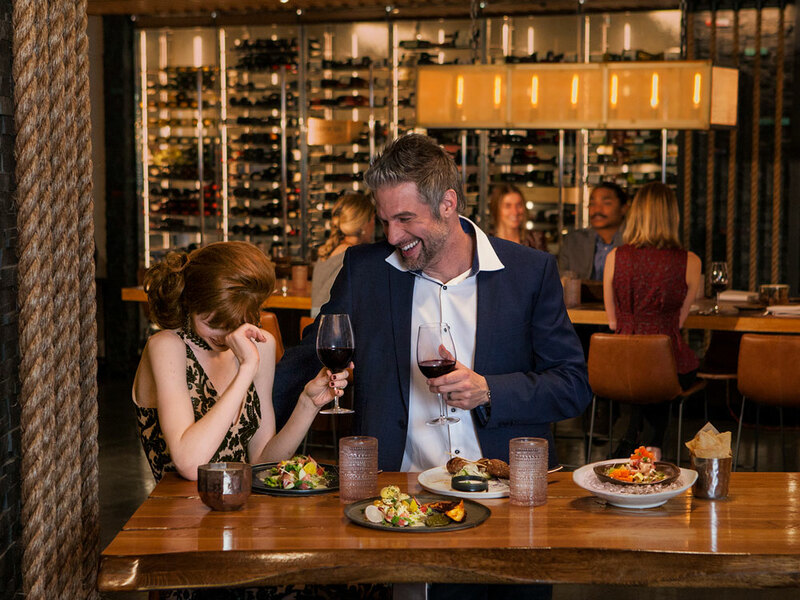 Created by acclaimed restaurateur Richard Sandoval, Toro is the place where you can experience all the diverse flavors of Latin America and share those flavors with others over great conversation and the finest spirits. The creative menu includes bold Latin American steakhouse offerings, fresh seafood, and a ceviche bar plus imaginative vegetarian fare. Also featured are innovative cocktails and a full array of Latin spirits. Toro even provides tequila lockers where you can keep your favorite bottles of spirits.Lively entertainment adds a friendly personality to this favorite gathering hot spot. Nest Restaurant will undergo a remodel this spring and will be re-imagined as a vibrant new ski-in/ski-out and poolside bar and outdoor dining experience designed to nourish and refresh. To complete the pub experience is a Colorado tradition of craft style lagers, ales and stouts, as hand crafted as the food and just as delicious in their own right. This authentic coffee bar’s skilled baristas will make that "must have" espresso, latte, cappuccino or other coffee specialty just the way you like. Grab and go with a morning pastry or afternoon sandwich or just sit back and relax for a while. The dedicated Ski Valet provides services such as slope side service to all owners and hotel guests, boot warming, ski and snowboard storage, ski and snowboard tune-ups and repairs, equipment waxing, equipment rentals, “First Tracks” programs, inter mountain ski transfer to Aspen, Buttermilk and Highlands, lift ticket purchase, ski instructions arrangements, sun and lip protection and up to the minute mountain reports. The 7,000-square-foot Viceroy Snowmass spa offers a selection of holistic wellness experiences, from Ute Indian-inspired therapies to contemporary beauty rituals. The spa sanctuary provides six luxurious treatment rooms, including a hydrotherapy Vichy shower room and a couple’s suite. A meditative relaxation lounge, awash in the soothing sound of falling water from an infinity pool and waterfall, centers the spa. The Fitness Center’s glass walls and natural light provide direct slope and pool area views creating a more vibrant fitness environment. The most advanced cardio and strength equipment includes a fleet of Peloton bikes. Personal training, coaching and sports therapy are available by appointment. The all season heated saline pool and cabanas can be enjoyed year round. The 25,000-square-foot Treehouse Kid's Adventure Center, located in the heart of Snowmass Base Village, stands as the first of its kind in the snowsports industry. This interactive facility combines the award winning Ski & Snowboard Schools of Aspen/Snowmass with a children’s museum-like playground, giving kids a one-of-a-kind journey while offering parents convenience and ease. Viceroy Snowmass’ dramatic spaces are ideal resort venues for executive business meetings, stylish private parties, and unforgettable events. With more than 9,000 square feet of meeting and event spaces and an additional 8,000 square feet of al fresco event space, Viceroy Snowmass is an exceptional setting for your next business or social engagement. Far more than just a brilliant winter wonderland, throughout spring, summer, and fall, Snowmass offers an endless array of opportunities to relax, rejuvenate, and rediscover the connections that matter most. From kayaking, paragliding, and fly fishing to golfing at any of the nine world-class courses surrounding Snowmass, Viceroy’s mountain concierge will organize activities for every passion. Events, such as the summer night concerts on Fanny Hill and the Snowmass Balloon Festival bring friends, families, and neighbors together in the fresh mountain air.